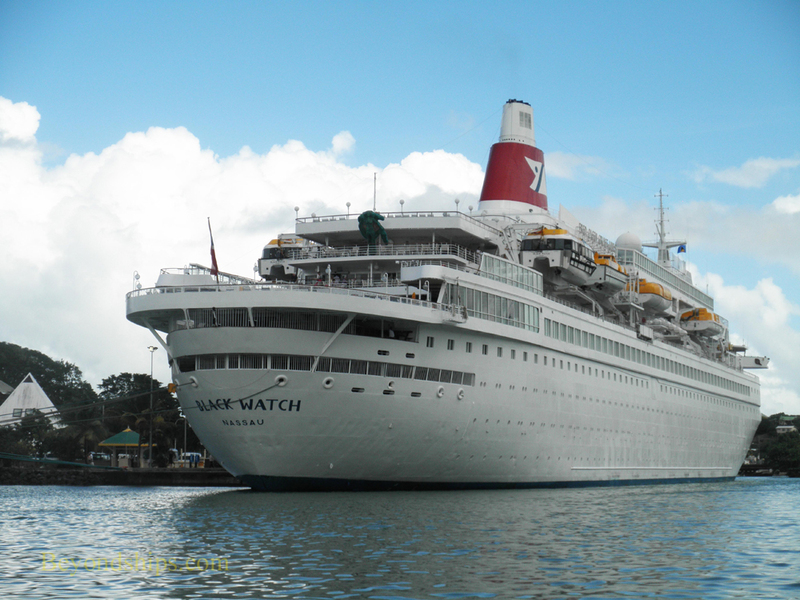 Black Watch is a small cruise ship providing an intimate, traditional cruise experience. While the line scorns the more spectacular features of newer cruise ships, Black Watch offers an array of features for passengers including a pool, spa, library, pub, observation lounge, cinema, cabaret lounge, casino, and four dining venues. She is targeted primarily ​ to the British cruise market. The onboard currency is UK sterling and the ship's language is English. Guests tend to be mature. 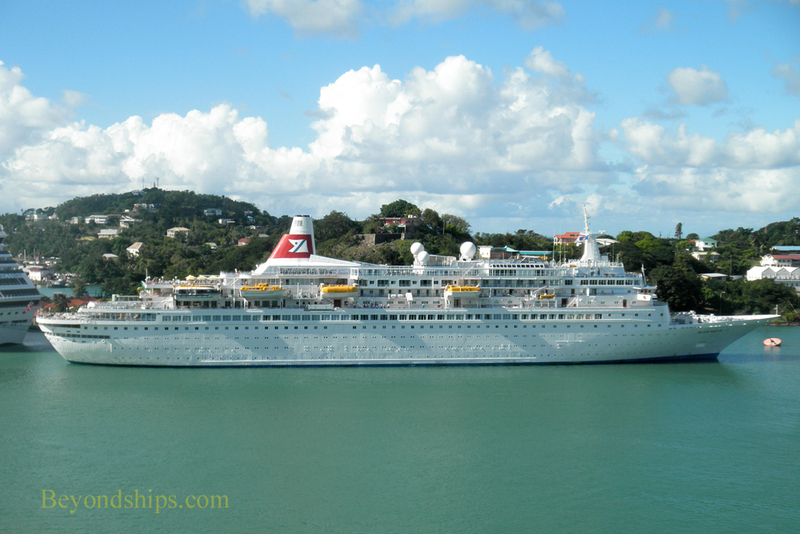 Black Watch began life as the ultra-luxurious Royal Viking Star in 1972. Indeed, she was considered one of the most luxurious ships of that era. She was so successful that the line had her lengthened by 27 meters in 1981. 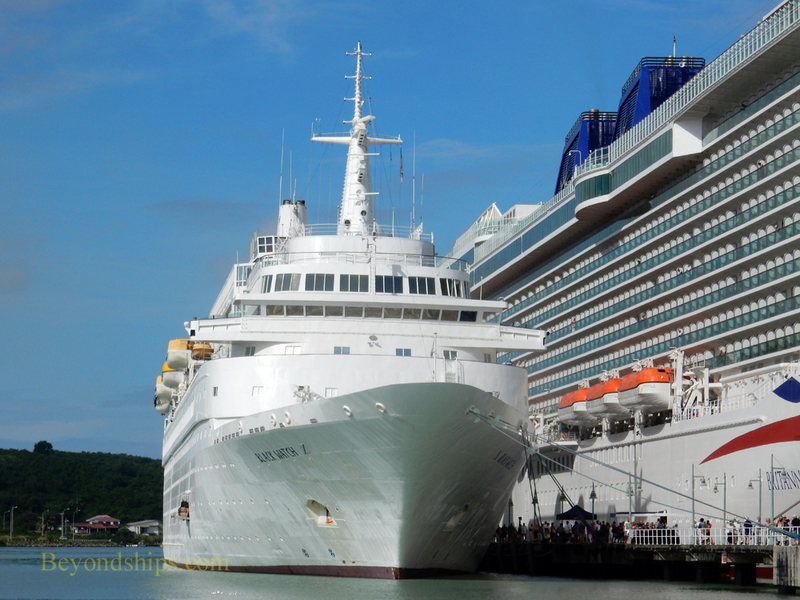 Twenty years after entering service (1992), she became part of Norwegian Cruise Line. 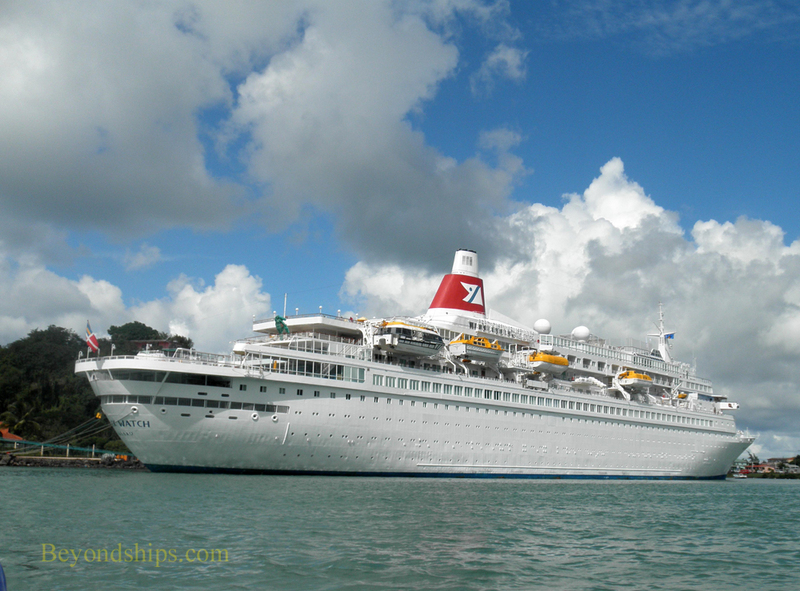 Her name was changed to Westward and she was primarily used for cruises from New York to Bermuda and the Caribbean. 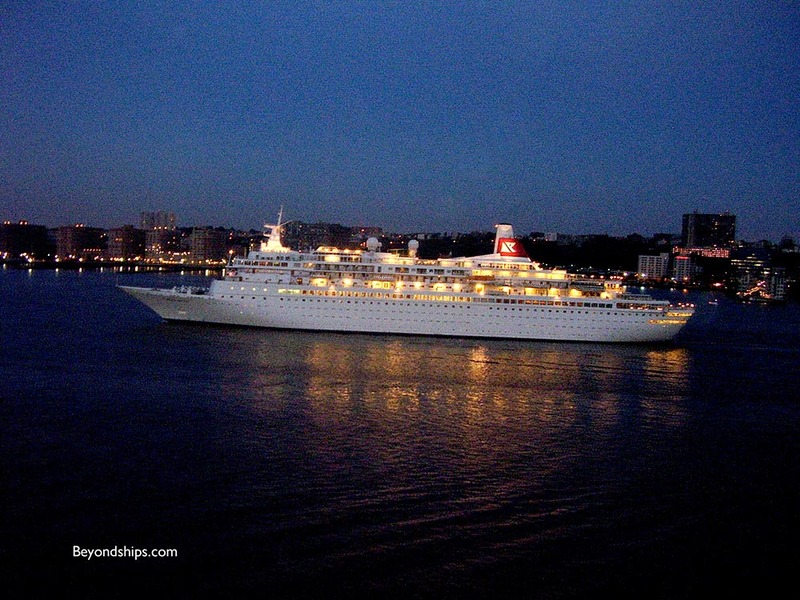 In 1996, Norwegian transferred the ship to its Royal Cruise Line affiliate. The ship's name was changed once again to Star Odyssey. 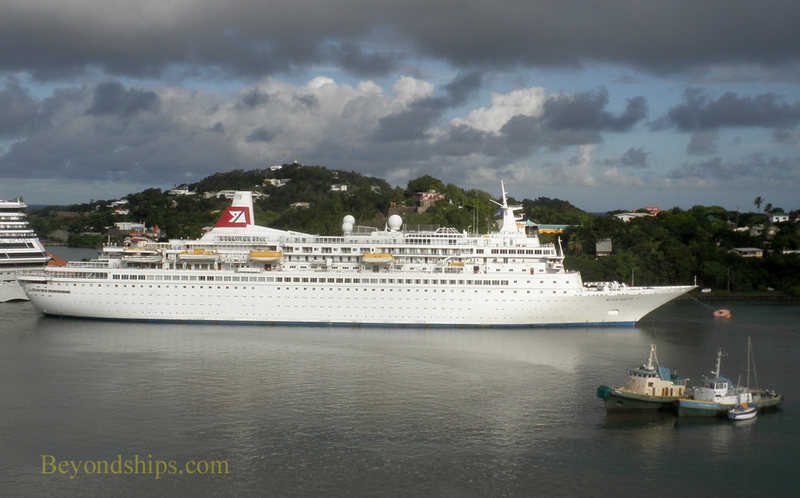 Fred.Olsen Cruise Lines acquired the ship in 1996. The line has invested in the ship including the replacement of her engine plant in 2005 and a major refurbishment in 2009. 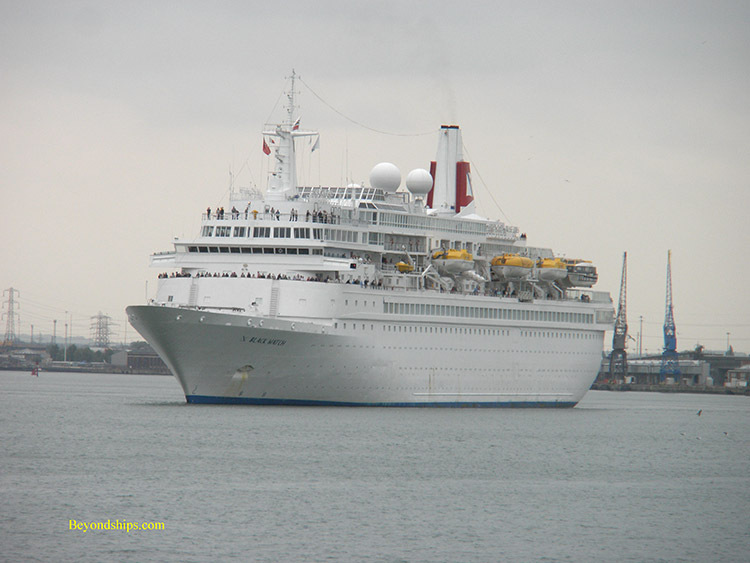 Above: Black Watch sailing from Southampton. ​Below: A night sailing from New York. 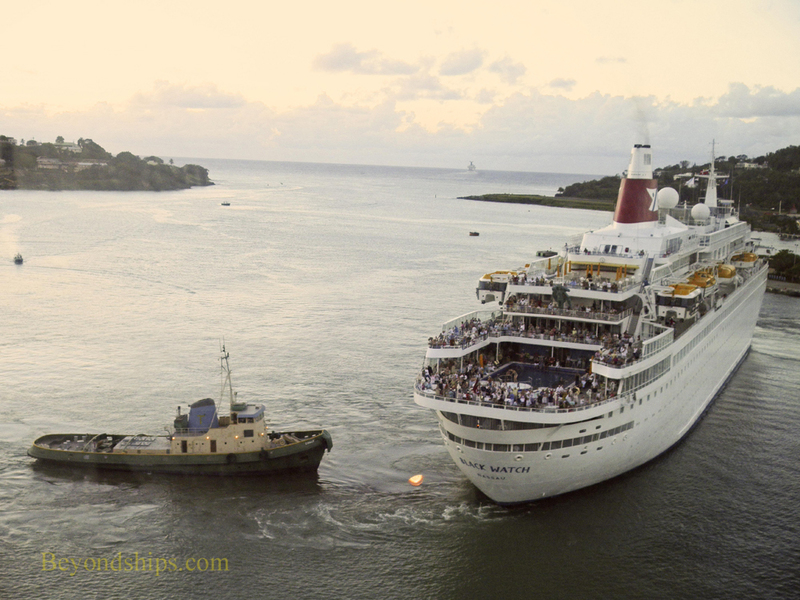 Above and below: Black Watch in St. Lucia.